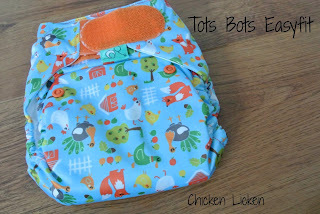 Life and Times of Mummy Morkus: TotsBots Easyfits: Easy Does It! TotsBots Easyfits: Easy Does It! 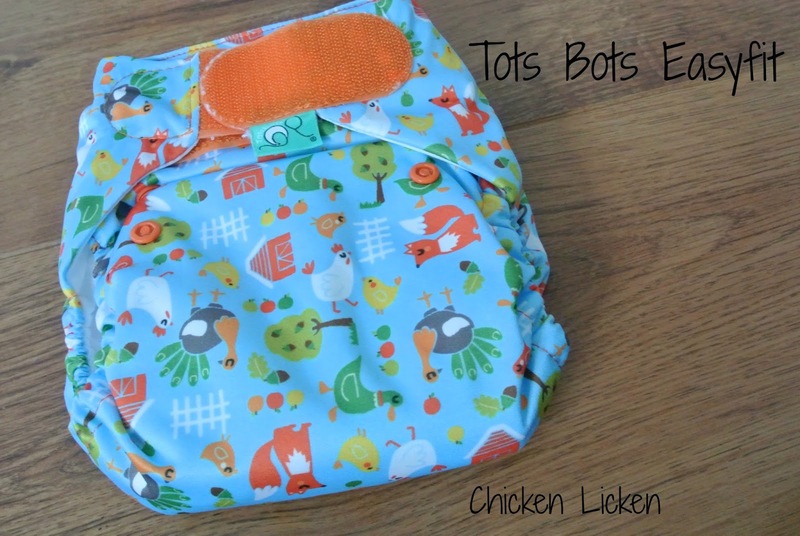 TotsBots is a Glasgow based nappy company which started, as all the best companies do, in some ones kitchen with a brilliant idea based on their own parenting experiences. It has grown but still retains its heart in Glasgow. Brilliant. The nappies are made in the UK. Extra brilliance. Easy on. 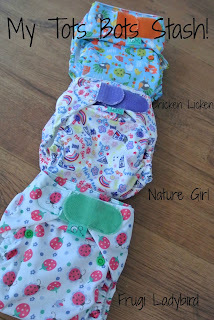 An all in one nappy (meaning that the booster is attached to the nappy outer) these Easyfits are super easy to put on. They are a one size fits all and come with poppers down the front to change the size and either hook and loop or popper closing at the waist. I have hook and loop closing and like that the fit is easier to get right, and it is more Daddy friendly! However, I have heard that the hook and loop isn't as hard wearing as popping closure and that pesky toddlers can undo the hook and loop but not the popper. Easy off. With easy laundry tabs to close while they are being washed to prevent snagging on other nappies. 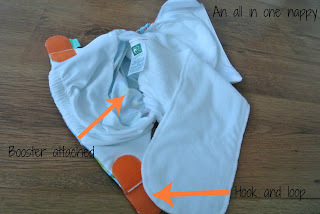 It is also easy to peal out the booster before it goes in the nappy pail so they can be properly washed. I change L every 2-3 hours when in this nappy unless it is really stinky. Easy wash. 40degree in washing powder (half recommended amount). I do one week of washing nappies using a nappy sanitiser a month to get them good and clean or after a particularly bad poo week. I don't use Totsbots own Potion but have heard good things about it. With the booster attached these nappies are quickly back in the draw with limited time spent building them or hunting for the liners to match the nappy! Easy dry. I am back to drying in doors most days. Booo. But not at all a problem for these easy nappies. They dry inside in one day. One day!! I have one other pocket nappy which does this, but with only one of these currently in my stash, these Easyfits (of which I now have three) are being used three times a week, sometimes more, because they dry so quickly. 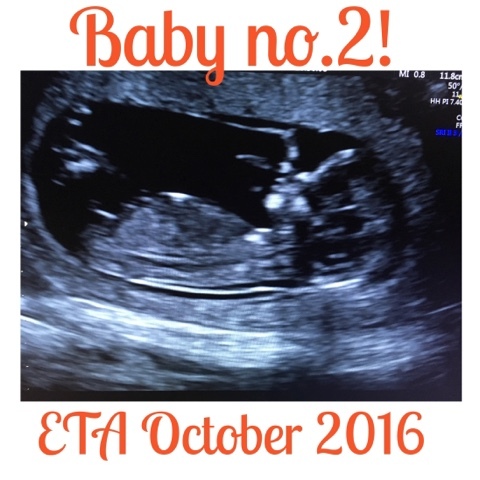 The not so easy bit. 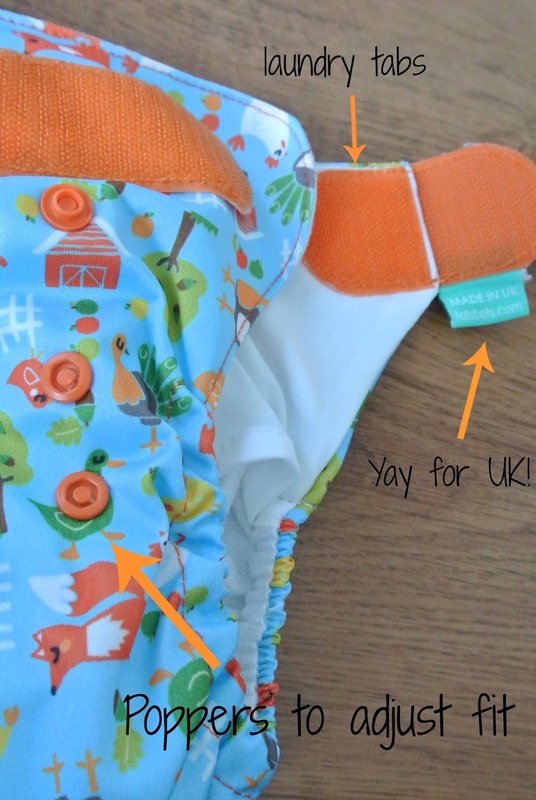 Not all nappies are perfect and the issue with these nappies is that they come in such a wide range of gorgeous prints that it makes choosing the ones you want really hard! They also come in very reasonably priced plain coloured packs. They have themed designs, funky patterns and with a collaboration with another brilliant home grown kids company Frugi they can come co-ordinated to whole outfits! They are also available on the high street. Basically every cloth mum should have at least one in there stash (more if they can afford it and a whole nappy stash of these is a dream to this cloth mum). 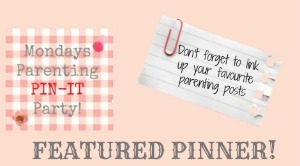 Easy peasy nappies. These nappies retail between £14.99-£17 but deals can be found and sales at online retailers such as Babi Pur can save you some pennies on these gorgeous easy nappies. *I won my Chicken Licken nappy but have purchased the other nappies in my stash with my own money from my own pocket! I did this review because I believe in this product and received no money for it.